The Jangipur Lok Sabha seat in Murshidabad district is now in the control of the Congress party. The rise of the Congress at the cost of the Left Front two decades back and the recent growth of Trinamool Congress here have set the stage for a triangular contest involving candidates of the Congress, TMC and CPI-M. The BJP, which has been building up its strength, and other parties like SUCI, SDPI, WPI etc, that are in the fray here, may keep the electorate guessing about their prospects, vote share and impact on candidates with the winning potential. Jangipur is a tobacco belt where Muslims are in the majority. Former President Pranab Mukherjee contested from this Lok Sabha seat on a Congress ticket in 2004 and emerged as the winner. It was his first-ever victory in a direct election when he defeated sitting CPI-M MP Abul Hasnat Khan. Mr Mukherjee won the seat again in 2009. He resigned as an MP in 2012 when he was elected the President of India, causing a by-election at Jangipur. His son Abhijit Mukherjee, who was a Congress MLA from Nalhati of Birbhum at the time, secured victory in the bypoll from here. He won again in the last LS polls of 2014, beating a CPM challenger as well as Trinamool candidate Hazi Nurul Islam (who was then the sitting MP from Basirhat). It was for the first time that TMC contested from Jangipur parliamentary constituency but its candidate with 2,07,455 votes finished third. The junior Mukherjee (3,78,201 votes) won over Muzaffar Hossain of CPM by a narrow margin of about 8000 votes in 2014. Way back in 1977, Sasanka Shekhar Sanyal of CPI-M cruised into the Congress stronghold to win from Jangipur, thus scripting history by launching a decade-long monopoly of the CPI(M)-led Left Front there. The Congress recovered the seat in 1996 when Md. Idris Ali wrested it from Jainal Abedin of CPI-M. Thereafter, Ali lost the seat to Abul Hasnat Khan of the CPI-M who retained it till the victory of Mr Pranab Mukherjee in 2004. It is said Mr. Mukherjee’s leadership backed by Adhir Chowdhury, the then Congress MP from Behrampore, placed the Congress party organisation on a firm footing at Jangipur. 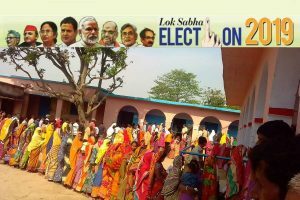 This year’s Lok Sabha polls however, have a different story to unfold in view of the ‘grassflower’ (TMC) and ‘lotus’ (BJP) gaining ground in all the seven Assembly segments – Suti, Jangipur, Raghunathganj, Sagardighi, Lalgola, Nabagram and Khargram – of Jangipur Parliamentary constituency. The poll battle here this time mainly involves Mahfuza Khatun of the BJP, Khalilur Rahaman of TMC, and Julfikar Ali of CPI-M who seem to be evenly poised to take on sitting Congress MP Abhijit Mukherjee. The non-minority vote, according to political analysts, will have a role to play in deciding the prospects of the leading contestants. Mindless decimation of greenery along the banks of the feeder canal, bidi-labourers struggling to realise minimum wages and health facilities, daily wagers migrating to other states and abroad in great numbers for a livelihood, border crimes like trans-border smuggling of cattle and contraband and arrest of Bangladeshi nationals on the India-Bangladesh border in Suti, Jangipur, Lalgola areas and electoral violence only portray a bit of what the people of Jangipur have to live with. So, most of the parties here are attempting to cash in on the anti-incumbency factor. For poverty and underdevelopment, they blame Abhijit Mukherjee, the sitting Congress MP, and his father Pranab Mukherjee. banking services in rural areas. “In addition to development works of MPLAD funds, funds under BADP (border area development project) were roped in for construction of rural roads. A local train has been introduced. 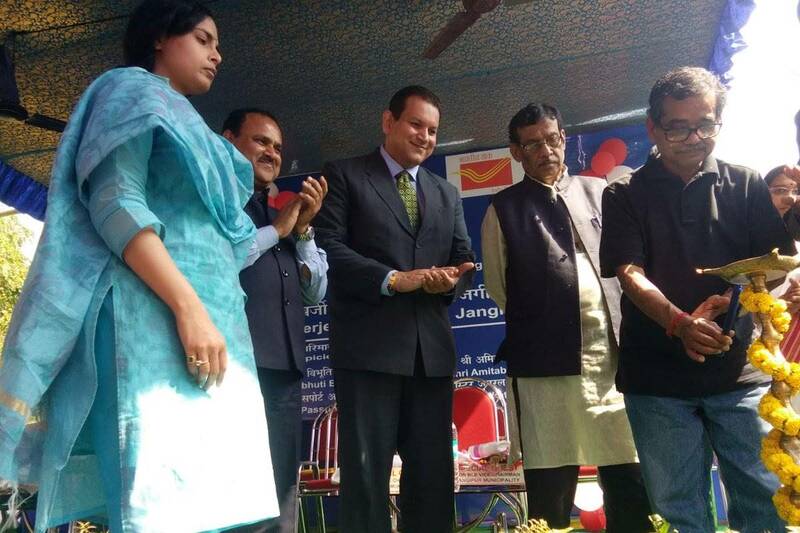 And Jangipur town has been brought under AMRUT (Atal Mission for Rejuvenation and Urban Transformation),” said Mr. Abhijit Mukherjee. Several crematoria along the Ganga ghats were also upgraded along with the Rabindrasadan auditorium where some air-conditioning machines have been installed, he added. The TMC leaders, however, refuted his claim of bringing in development. The centrally-funded hospital for bidi labourers at Tarapur is in a sorry state and this amply contradicts the development claims of the sitting Congress MP and his father, said Mohammed Ali, a former president of Murshidabad district TMC. According to the final electoral roll, Jangipur has 16,12,775 voters out of total 51,53,837 in Murshidabad district. This constituency is home to at least 6 lakh bidi workers. Currently, the TMC has two MLAs –Jakir Hossain from Jangipur and Subrata Saha from Sagardighi – who won on party tickets while the MLAs from Nabagram (Kanai Mondal of CPIM), Khargram (Ashis Marjit of Congress), Raghunathganj (Akhruzzaman of Congress) have defected to TMC. Currently, the Congress has two MLAs ~ Humayun Reja from Suti and Abu Hena from Lalgola ~ under Jangipur parliamentary constituency.